November 14, 2015 November 8, 2015 Amanda B. The students in my class have been talking non-stop about superheroes. Who their favorites are, what super powers they have and about their enemies. My teaching partner and I want to steer these discussions into a more positive light. We want to talk about everyday superheroes, and how each student can be a superhero. We are staying away from the Marvel and DC characters and speaking more about real life superheroes. 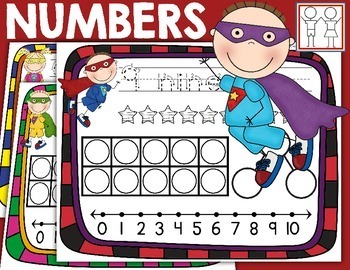 To begin I found these great math mats. They work great for number recognition and number talks. They can be found here. I made a write-around-the-room activity. Each card has a sight word on it (all 40 Dolch pre-primer sight words are included) and a cartoon superhero (4 different images). The students have loved searching the room to find all the words to write down. We only put up the words that we have learned about so far, and we will continue to switch them up whenever we do this activity. 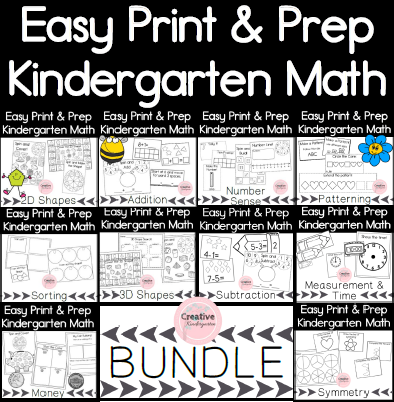 This download is available in my Teachers Pay Teachers store. Buy it here for $1.00. My next activity is not one that I came up with, but that I came across in a co-worker’s classroom. They did not have coloured copies of the activity so I re-made it to have in our classroom. I do not know who made the original activity. If you know where I can find it, please let me know so I can give them credit. It is a word family game and this is how it works: there are cards with each letter of the alphabet on it, and cards with word families on them. You put the letters in a die with clear plastic sleeves, and the word families on the table. The student picks the word family they want to work with. They roll the die and add the letter they land on to the word family. Now they have to figure out if it is an actual word, or if it is a nonsense word. You can have them write it out, write it in sand or on whiteboards. This is a fun activity, that I am offering as a freebie. Next post I will write more about how we are introducing everyday superheroes into our room. Hint: it involves an anchor chart, writing prompts and a bulletin board idea!